The Tacoma Art Museum is displaying the controversial ‘Hide/Seek’ exhibition that covers almost 150 years of GLBT works of art. First displayed at The Smithsonian Institution’s National Portrait Gallery, this series looks at how gay and straight communities intertwined much more freely. 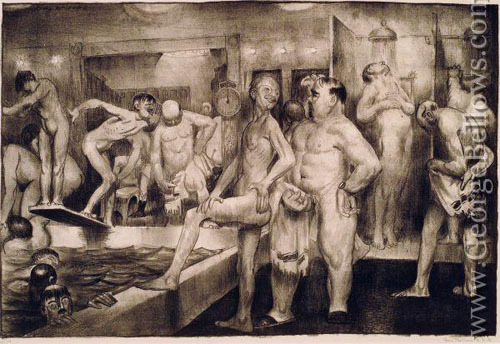 One print called Shower Bath by George Bellows truly stands out. Created in 1917, it spotlights the activity that takes place in a men’s public bathhouse. You can see two men are checking each other out. Which leads some to confirm that man on man encounters were a regular part of some men’s worlds. As well as Was a homosexual life as public before WW2 as now?